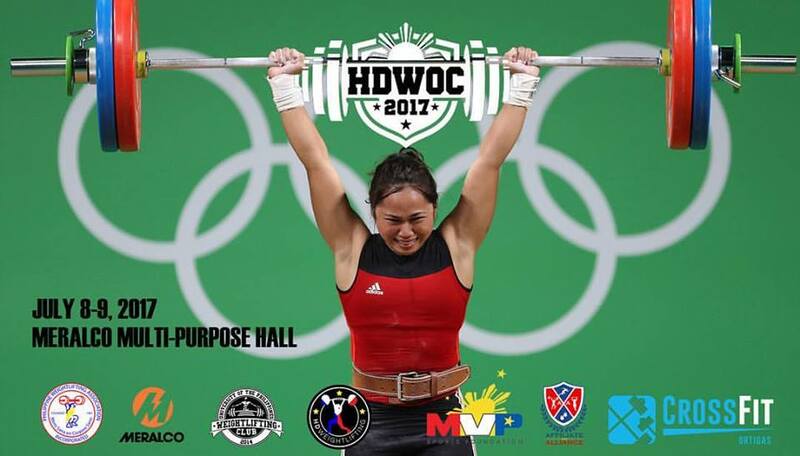 The 2017 Hidilyn Diaz Open Weightlifting Championships will be held in the Meralco Fitness Center on July 8-9, 2017. 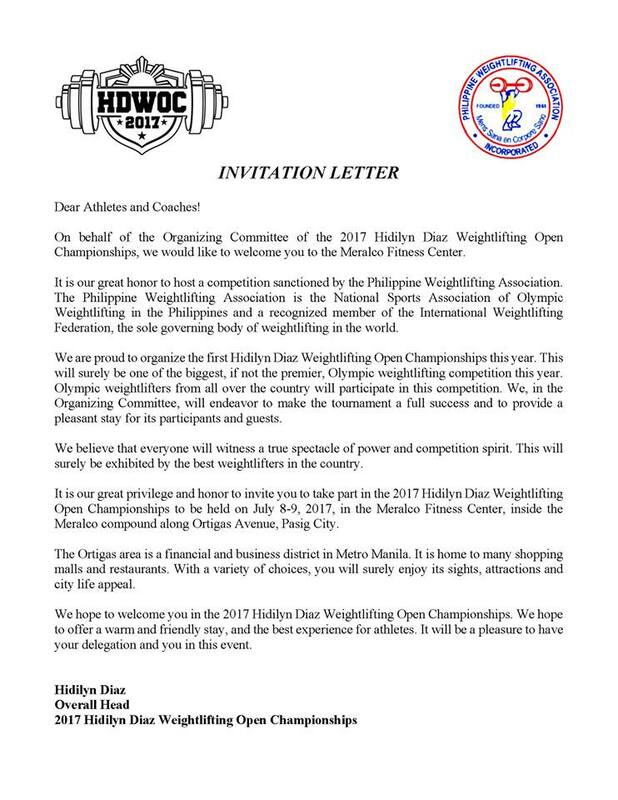 Hosted by no other than the Olympic Silver medalist for weightlifting and Airwoman, Hidilyn Diaz. Please check out the invitation letter below. To register: Download the complete registration package.